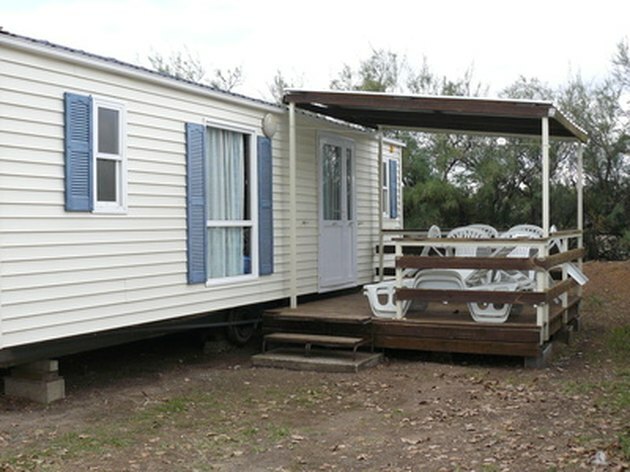 Mobile home roofs tend to leak because of changes in temperature and harsh weather conditions. You will know your mobile home has a leak if you see ugly stains on your ceiling. 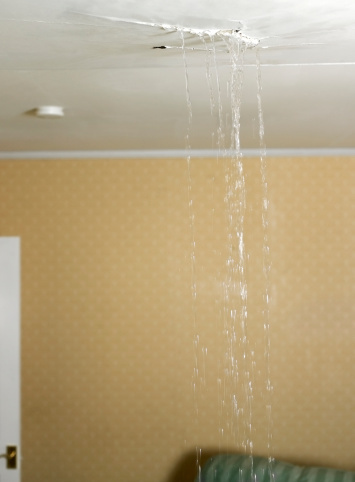 It is important to repair the leaky roof before fixing the stains caused by the leak in your home. Many times it is difficult to identify where the roof leak is located because the hole may be a tiny space between the flashing and the roof. You will need to check your entire roof thoroughly and use the necessary materials to repair the leak. Mobile home leaks should be repaired without delay. Use a ladder to climb up to the roof. Make sure to walk on the rafters, and inspect the gutter system, flashing, seams, seals and shingles for leaks. Remove all dirt from the area to be patched by scraping the area with a putty knife. Put strips of butyl tape in a square around the perimeter of the area to be patched. Use tin snips to cut out a patch of galvanized metal that will overlap the leaky area by 3 inches on all sides. Place the metal patch over the butyl tape. Predrill holes in the galvanized metal patch, as well as the roof. Use metal screws to screw through the patch, butyl tape and roof metal. Place the screws every 2 inches around the perimeter of the patch. Apply caulk to seal the edges of the patch and the screws. Once it dries, cover with a roof coating.